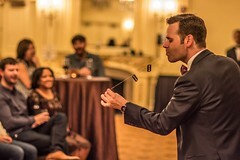 An evening of sophisticated tom-foolery in one of the Windy City's most unique entertainment experiences! 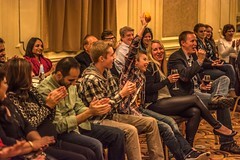 PRICE: $79 per guest with wine and beer included. DATES: See the calendar here. Award-winning, third-generation magician Dennis Watkins delivers an evening of sophisticated tom-foolery in one of the Windy City's most unique entertainment experiences. 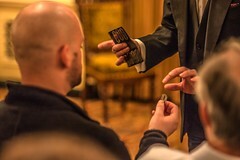 The Magic Parlour is replete with mind-blowing magic and mind reading in an intimate suite at the historic Palmer House Hilton Hotel. Guests convene at Potter's Lounge and will be escorted to the private performance venue. The performance lasts approximately 75 minutes. 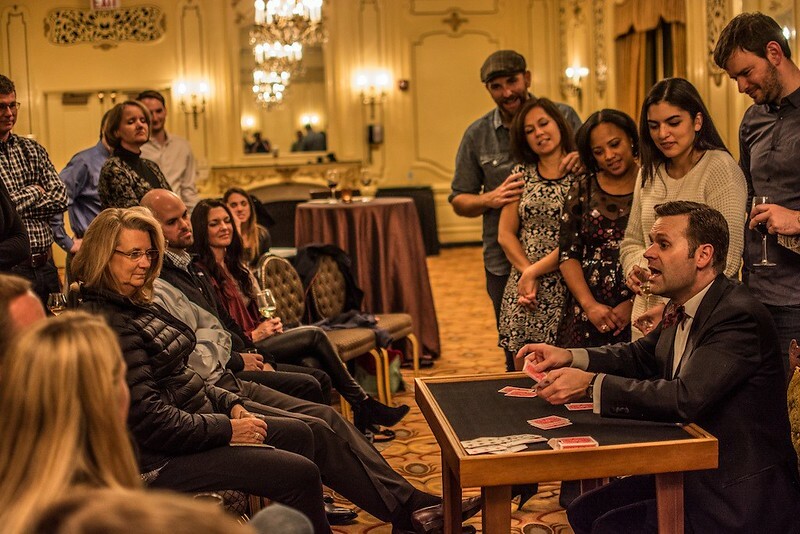 Feel what it's like inside Chicago's top-rated weekly magic show! 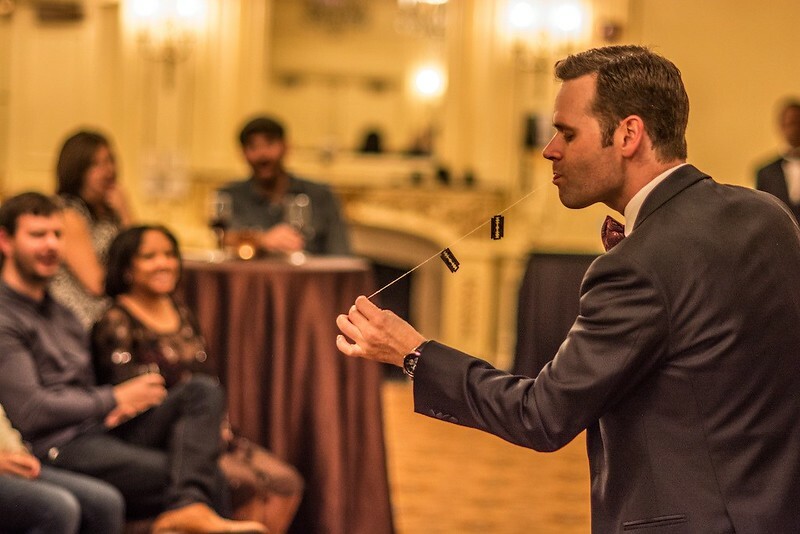 In decades past, the hotels of downtown Chicago were full of after-hours entertainment. There were glamorous cabarets, variety acts and intimate soirees on offer, all aimed at couples out on the town and at weekend refugees from more prosaic Midwestern locales. 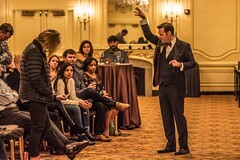 But although the Loop theater district thrives as much as ever in prime time, such late-night, after-dinner attractions have mostly vanished. They are perceived as relics of a former age. 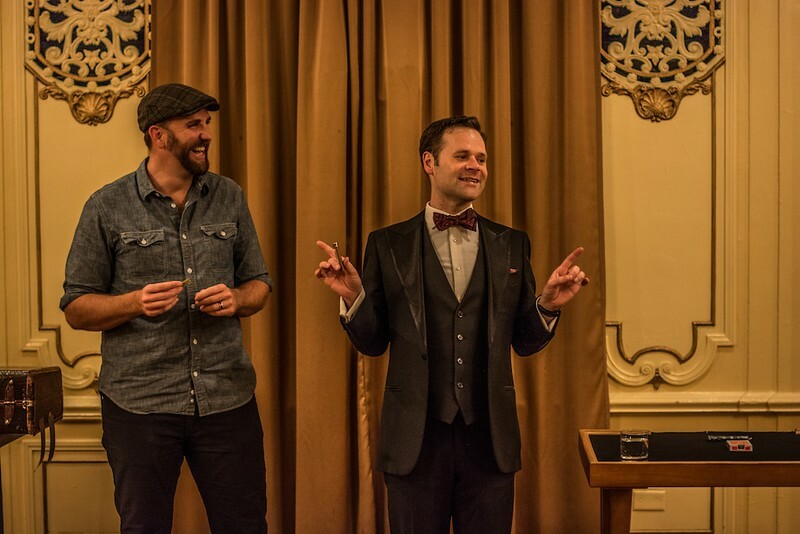 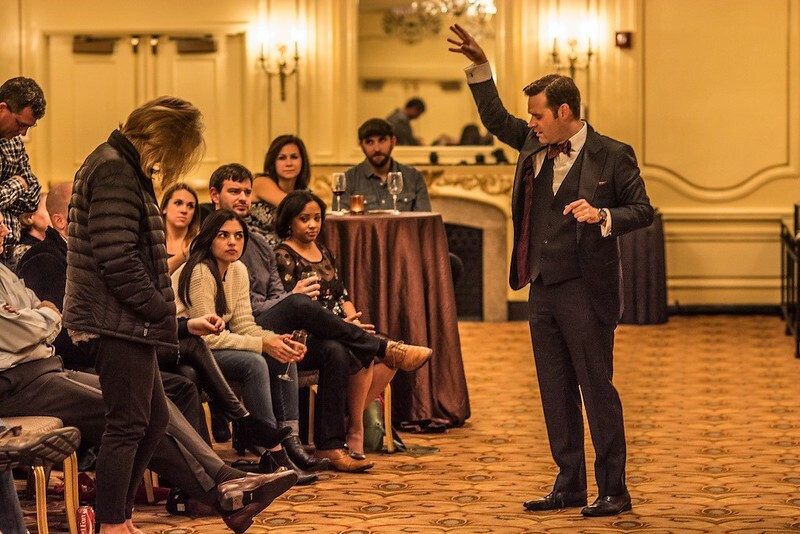 "The Magic Parlour," the new late-night show from the House Theatre staged inside the Palmer House Hilton Hotel, is no Chez Paree. 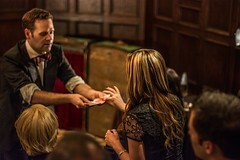 But there is very much a retro tinge to the magician Dennis Watkins' little solo collection of sleights of hand, performed in one of the historic, wood-paneled private dining rooms (which one depends on the size of the audience that night; everyone meets in the bar) inside this historic hostelry. 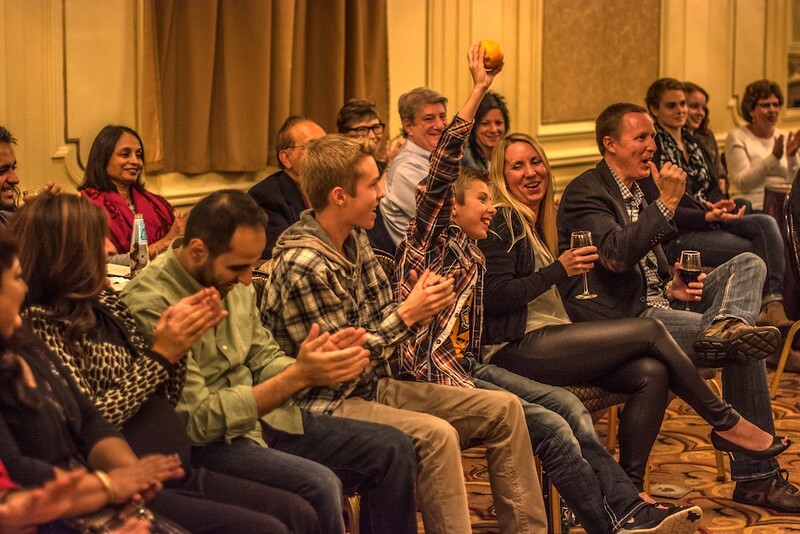 Last Friday, the crowd was mostly couples, dressed for the town and with an interest in each other that competed, at times, with the show they were paying to see. 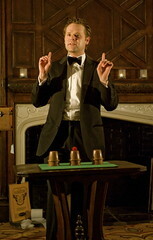 It was an intimate little scene, the kind a great old city with a crucial tourist trade should accommodate. 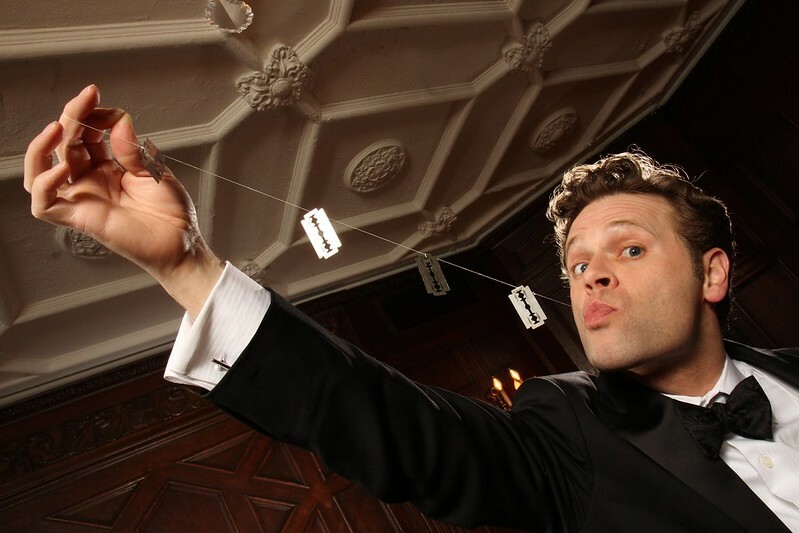 Anyone who has seen "Death and Harry Houdini," the current (and sold-out) House show wherein Watkins plays the famed escapologist, is familiar with Watkins' formidable skills. 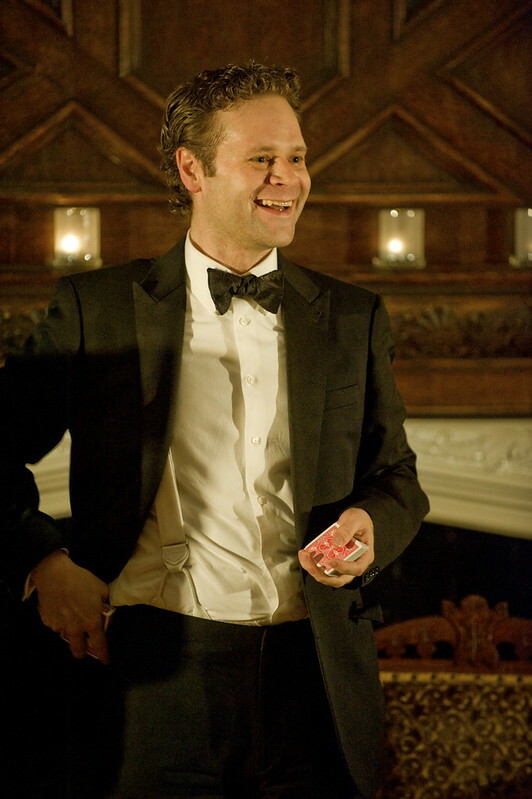 He is without an obvious Chicago-based peer. 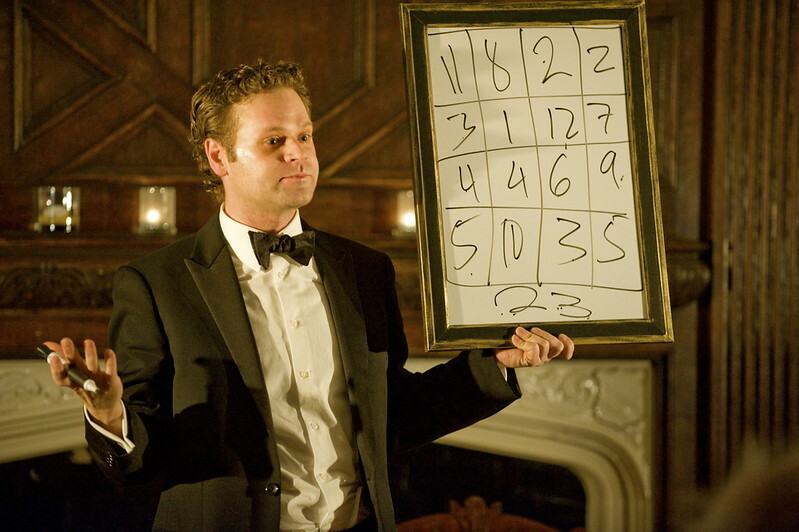 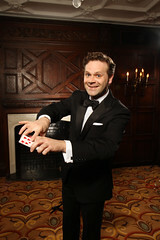 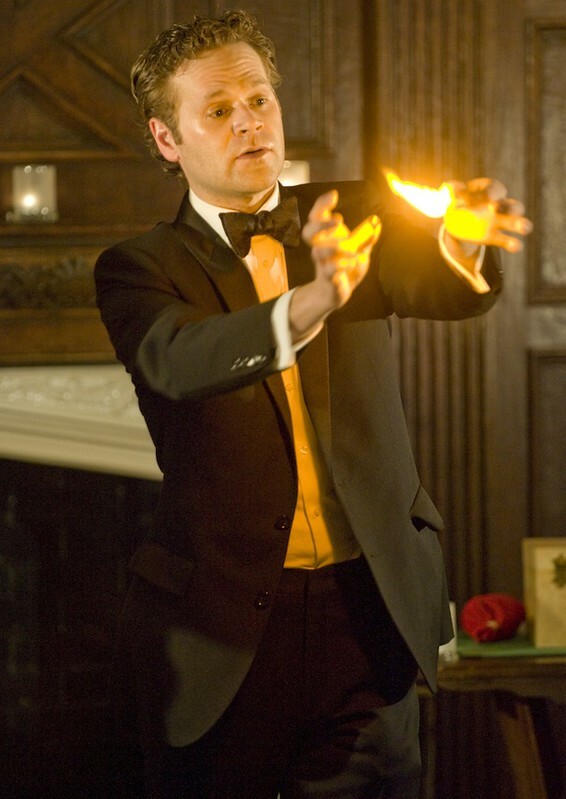 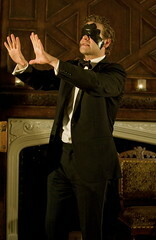 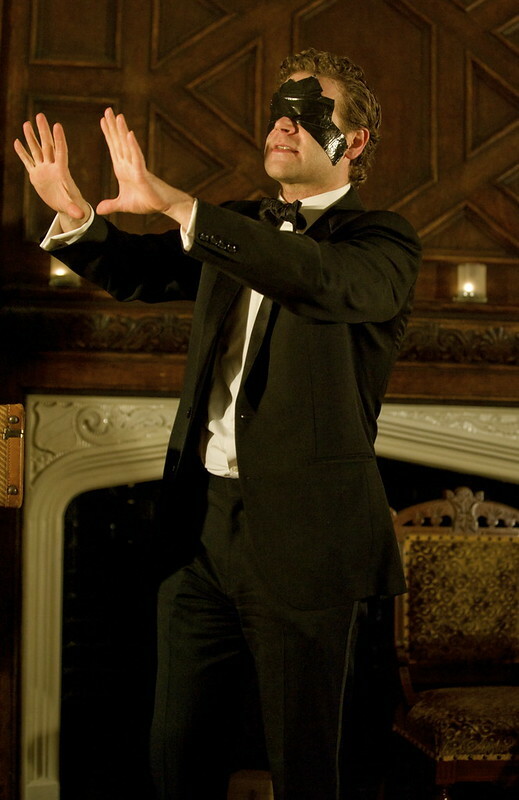 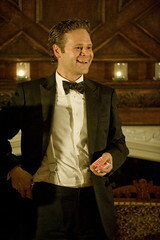 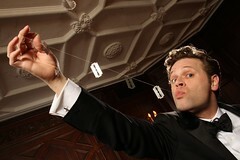 But after he escapes from the Chinese Water Torture in Wicker Park each Friday, Watkins currently puts on his tuxedo and heads directly downtown, where his tricks are more intimate and interspersed with some narrative about the lessons he learned from his grandfather, a magician who also sold tricks to other magicians. 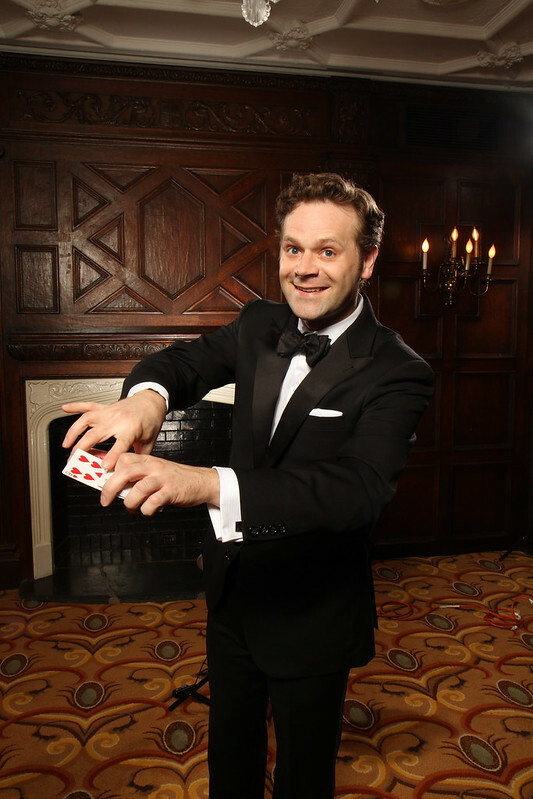 If you judge your magicians on whether or not you can see how they do the trick, a very reasonable criterion, you'll be mightily impressed by Watkins, a master of misdirecting attention and technical mastery. 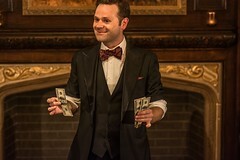 But Watkins tells us early on that he is of his grandfather's mind, which is to believe that magic is not so much a way to fool people (tricks can always be found out), as a chance to offer an experience and, at moments, to make an audience member feel like a child again. 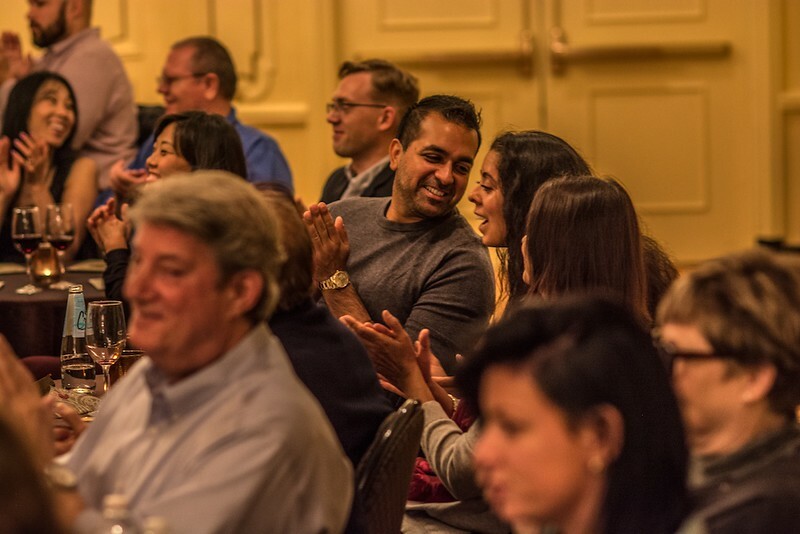 Last weekend, you could see that charm working its way through some initially skeptical audience members, all of whom were eventually won over by the man with the cards, the cups and the levitating table, the man who can put a dollar bill back together and seem to read your mind. 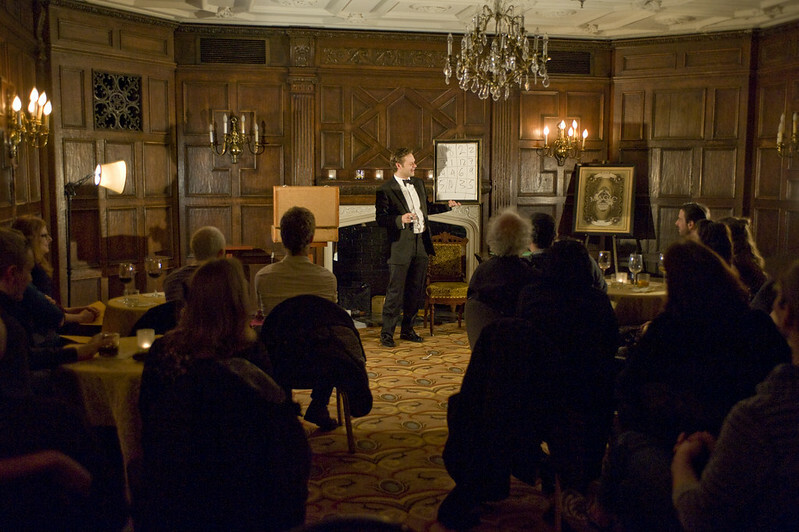 "The Magic Parlour" is a simple entertainment in the Ricky Jay mold: old-fashioned trickery performed very well in an ideal setting by a man with a heart and a story who craves being close to his audience. 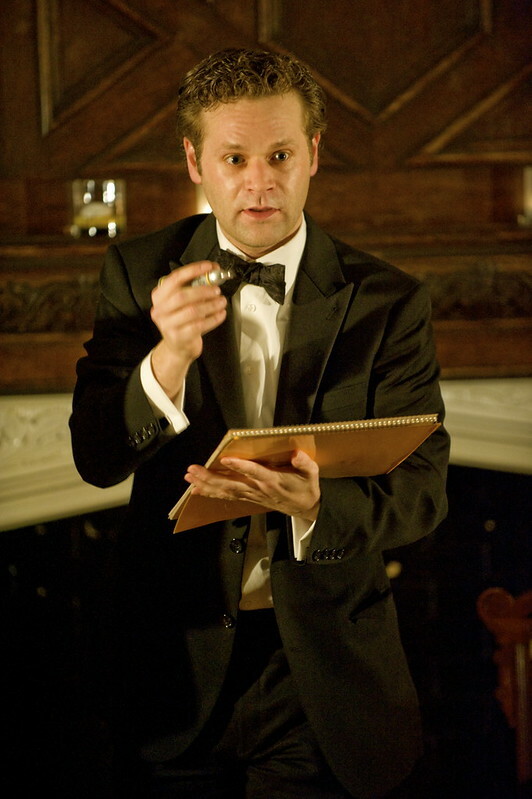 It's about an hour and a sophisticated, thoughtful night-cap. It's not cheap, but ample libations are included.